If you like mint flavors with an icy menthol kick, try these I See Mint Ice Menthol Caps by Bo Vaping. 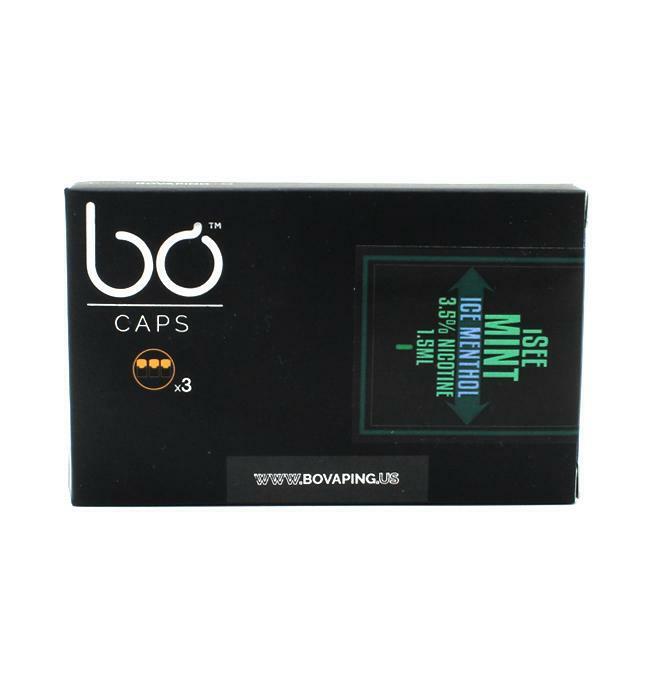 Each pack contains 3 x individual 35mg (3.5% nicotine) caps for the Bo Vaping kit and each is filled with mint e-juice with just the right amount of menthol for an icy blast. Create huge minty clouds with I See Mint Ice Menthol caps.